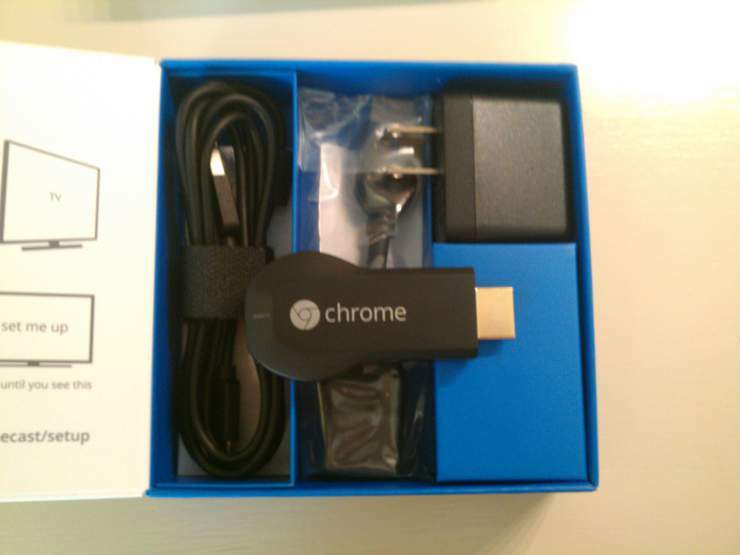 Finally, my Google Chromecast arrived in the mail! It came in a tightly packed and simple box that somewhat resembled the packaging using by Apple in the pre-transparent-plastic cases. Inside the box was the actual Chromecast, a usb to micro-usb cable with a velcro cable wrapper, an AC adapter, and a little instruction booklet. Use either Google Chrome (PC or Mac) or any of the available iOS/Android apps to cast your content! 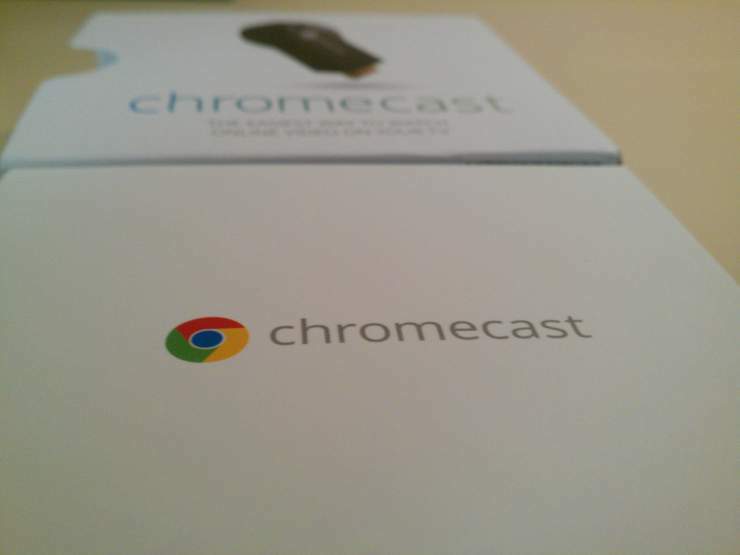 I am very happy with my chromecast! Although casting tabs is intensive on the host computer and the quality is limited to 720p, watching YouTube videos in 1080p seems to work well! Although the number of compatible apps is relatively low right now, once Google gives 3rd party developers the go to release their apps I am sure that there will be plenty of innovative uses for this amazing piece of technology! And honestly for such a low price $35, its a great addition to any home entertainment system!